Click here for the main Sign Up Page at NextHunt and join now! Submit outfitter reviews or a gear review now! Check out all the Outfitter and Guide listings below! 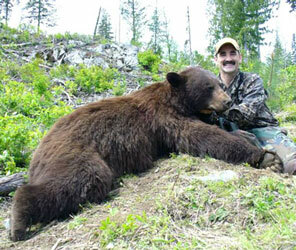 Check out our Outfitter Reviews - Over 5,509 Outfitter Reviews on-line. Submit your own! Check out our Hunting gear reviews Submit your own! note: Outfitters listed above with a state abbreviation to the right of their name operate in that state or states as well as their home state. Used a good Outfitter or Product Lately? Please complete a Product or Outfitter Review. Check out our detailed Equipment Reviews. 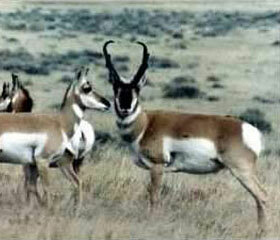 Find out how to advertise your services with Hunting Information Systems. 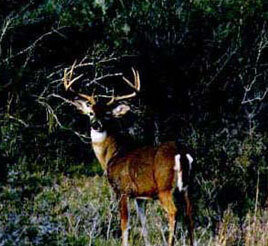 Offering south Texas deer hunts and outfitter reviews along with brush country whitetail deer hunts, and furthermore Texas trophy deer hunts, with south Texas whitetail deer hunting outfitter reviews and outfitter reports with outfitter ratings, plus guides and south texas hunting outfitters who offer south Texas deer hunts and west Texas whitetail deer hunts. 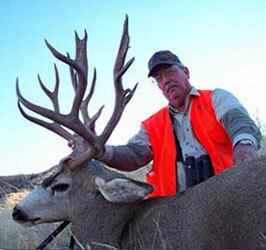 Our west Texas whitetail deer hunts are in addition to the south Texas deer hunts. We also have outfitters offering Kansas deer hunts, Kansas outfitter reviews and Kansas outfitter reports, Montana deer hunts, Montana archery deer hunts and Montana deer bowhunts and Montana elk hunts plus Montana outfitter reviews and Montana Outfitter reports too. Besides that, we have Wyoming hunting outfitters and Wyoming hunting guides who offer Wyoming mule deer hunts and Wyoming elk hunts, plus Wyoming big game hunts and Wyoming pronghorn antelope hunts. 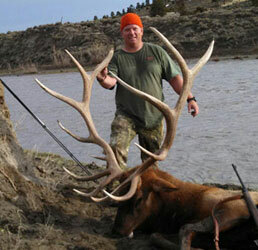 We have outfitters offering Colorado mule deer and Colorado elk hunts. 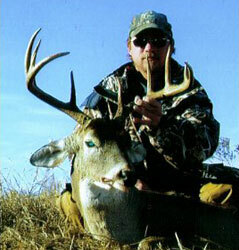 We have outfitter listings who offer Alabama deer hunts. 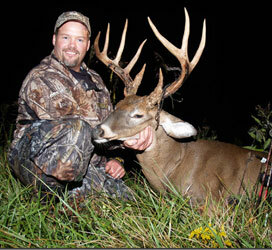 Our listings include outfitters who offer Iowa whitetail hunts with shotgun and bow. 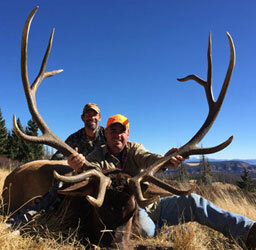 We also have Texas antelope hunts and west Texas desert mule deer hunts for trophy pronghorn antelope hunts in New Mexico, and New Mexico trophy elk hunts. Mexico is also one of our hunting destinations where we offer Mexico dove hunts, whitewing dove hunts, Mexico whitetail deer hunts and Mexico quail hunts, specifically for blue quail hunts, also Mexico duck hunts. 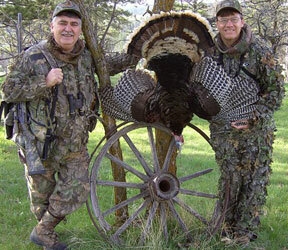 We also have some excellent Colorado elk rifle hunts, Colorado trophy elk bowhunts, and combo mule deer and elk hunts, in addition to Ohio trophy whitetail deer hunts with shotgun, muzzleloader and bow, archery deer hunts in Kansas, and then also rio grande turkey hunts, Texas turkey hunts, Kansas turkey hunts and eastern turkey hunts. 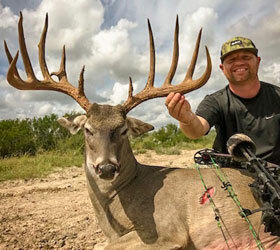 After that, we offer Texas exotics hunts for axis deer hunts, blackbuck antelope hunts, ram hunts, sheep hunts and goat hunts, plus many wild hog hunts with Texas wild hog hunts and Texas wild boar hunts being our specialty, we also offer some great archery hog hunts and bowhunts for wild hogs, with our texas archery hog hunts and our regular texas wild hog bowhunts and archery exotics hunts where we bowhunt for exotics on our texas exotics bowhunts. 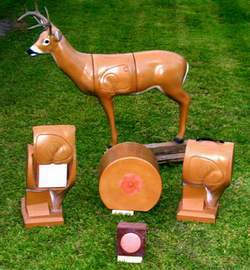 We also have archery deer hunts for trophy whitetails in Ohio plus Arizona elk rifle and bow hunts and Arizona mule deer hunts. 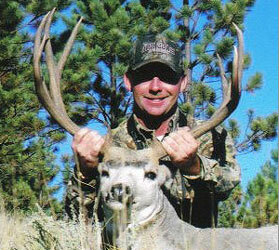 We have listings for guided hunts in Washington, outfitters in Idaho for trophy mule deer hunts, Idaho elk bow and rifle hunts and Idaho black bear hunts with bow and rifle. We offer listings for hunting consultants and booking agents who can arrange hunting trips for you nearly anywhere in the world. 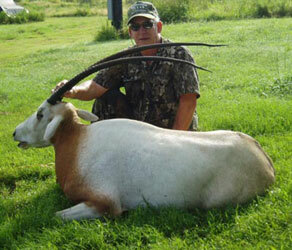 They have buffalo hunts, lion hunts, hippo hunts, African big five hunts, Russian brown bear hunts, New Zealand red stag hunts, African plains game hunts, African 8 day safari, Saskatchewan 4 day duck and goose hunts, deep sea fishing trips, Alaskan fishing trips and much more.